It's the Karoller’s last Christmas together as a family, with Mom and Dad planning to divorce. But when they are magically transported into the world of the Christmas cards on display in Macy’s department store, they must band together to find their way home. 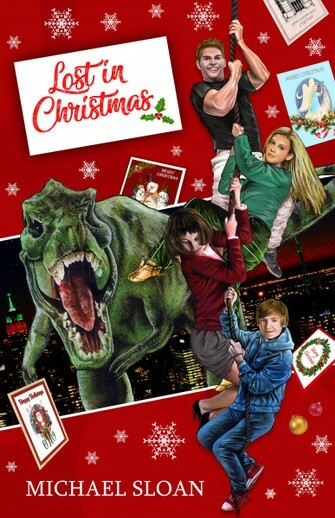 An adventure worthy of Indiana Jones featuring mischievous wise men, Elvis Presley, dinosaurs and Santa Claus himself, Lost in Christmas is a charming festive fable in the spirit of It’s a Wonderful Life and Miracle on 34th Street. The author, Michael Sloan, is the creator of the multimillion-dollarThe Equalizer TV series and movie franchise, and has been a Hollywood screenwriter for over forty years. His other credits include Battlestar Galactica, The Six Million Dollar Man, BJ and the Bear, The Hardy Boys & Nancy Drew Mysteries, and Alfred Hitchcock Presents. We would appreciate your feedback. If you have read the book please fill in the questionnaire below.